Asus has been in the headlines from last two weeks, starting from the Geekbench scores of Zenfone Max Pro M2 and the Zenfone Max M2. 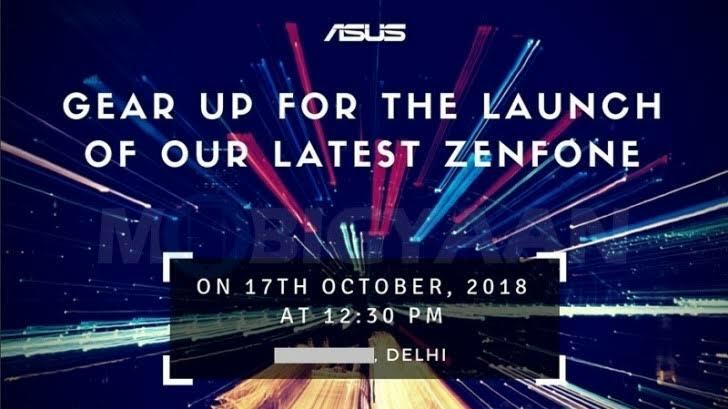 Then Asus sent media invites for their global launch event in Delhi on 17th October. Everyone was expecting the new king for the market. All this hype was because of Asus's previous two phones, the Zenfone Max Pro M1 and Zenfone 5z. These two phones got so much love and appreciation from the market due to their price and specs that the expectations were high up in the sky. But here Asus has launched two budget segment phones which wil be the entry level phones. The Zenfone Max M1 and the Zenfone Lite L1. Both the phones have metallic finish unlike others in the segment, which have the polycarbonate body. The Zenfone Max have the fingerprint sensor on the back side, where the Zenfone Lite relies on only the face unlock facility. Both the Zenfones, the Max and the Lite will have a 5.45 inch HD+ IPS screens with 18:9 aspect ratio. The screen to body ratio will be 82% according to Mr. Dinesh Sharma, the director of Asus India. So both the phones have almost same design and display. Here both the phones have same chipset, the Qualcomm Snapdragon 430 on board to give good experience while using the phone. It's an octa core based processor made with ARM Cortex A53 cores and clocked at 1.4 GHz. The sd430 comes with the support of Adreno 505 GPU for better gaming experience. Both phones will have Android 8.1 (Oreo) out of the box with ZenUI 5 support, which is, according to Mr. Dinesh Sharma, very lite and close to stock Android. In the camera section both the phones have pretty good camera which is different than others in the segment. Both the phones have a 13 MP rear camera on the rear side and both with f/2.0 aperture. In the front, the difference appears between the two phones, where the Zenfone Lite has a 5 MP front camera and the Zenfone Max has an 8 MP front shooter. The cameras on both the phones will get an edge over other phones in the segment. Both the new Zenfones will come in two colors, which are the gold and black. No new colour or style was introduced by the brand in the launch event. The Zenfone Lite will be coming with 2 GB of ram and 16 GB storage option and will be priced at 5999/- INR during the festive season. Where the Zenfone Max will have 3 GB ram and 32 GB storage and priced at 7499/- INR during the festive season. Both the phones will come with the Jio offer where customers can get Rs. 2200/- cashback from the starting day of using the phone, which makes the effecting price of the phones Rs. 3799/- and Rs. 5299/- only. So the pricing of the two phones are quite impressive looking at the specs they provide. They will be the Flipkart exclusives and coming with protection plan of Rs. 99/- only. Both the phones are entry level smartphones and the specs are quite good. In the battery section the Zenfone Lite has a 3000 maH battery capacity and the Zenfone Max will have larger battery of 4000 mah like the other Max series phones of the brand. Both the phones will have other specs like Wifi, Bluetooth 4.2, micro USB support. Looking at the price, both the phones are quite matching for the demand in the particular segment. Let's see if these two can get the attention like their previous launched in India.